No, we didn't disappear off the face of the earth, but we have been working on a new blog that would combine both our Life of Giving blog and our LWB Stories blog, in order to create a community where people can discuss adoption, children, and making a difference in the world. 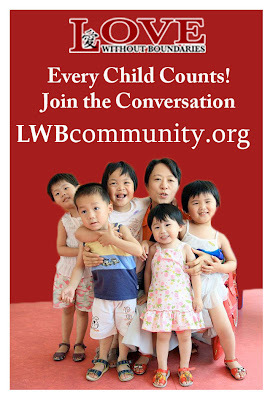 We hope you will join us at www.lwbcommunity.org and join in the conversation! Today's blog is about older child adoption, and we'd love to hear your thoughts. We are so grateful to everyone who had a Life of Giving widget on their own website or blog page. I would invite you to grab out new widget for LWBcommunity and switch them out. Our hope with the new blog is to encourage lots of discussion about the topics we hold dear. Thank you for all of your support! See you on the other site! With new Special Needs adoption lists just coming out, I’d like to continue the discussion of concerns about adoption of school aged children. We adopted our second daughter, just as she turned 4 years old, bringing her home in December. We gave her the nine months before the next school year to get used to us, get used to the language and take some parent/child classes together. We started her in 4 year old preschool that fall. When we had her evaluated for Kindergarten, the public school system said she was ready to go, their only hesitation being her spoken language and some gaps in language concepts. Since she was making progress in private speech therapy, they felt she could overcome this. Interestingly, the public school would not offer speech therapy, but would consider her for ESL assistance, due to being in the country less than two years. We ended up placing her in Montessori school in a mixed age 3-5 preprimary half day class as a 4 year old, even though she had turned 5. This allowed her to work on 5 year old activities where she could and still have opportunities to fill the gaps of the earlier ages. A friend of mine recently brought home her son, just as he turned 6. She enrolled him in kindergarten starting shortly after they were home. He is receiving ESL services. Looking back, I think my daughter would have benefited from starting school right away, rather than waiting. 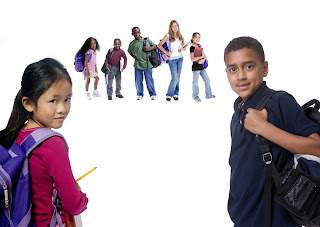 If you have adopted an older child, what age and what schooling decisions did you make? Which ones worked and which ones did not? What advice would you give to parents just now bringing home a school aged child? They released this song last spring, to bring awareness to closed birth records in the US. Both Zara and DMC are adoptees who have done a lot to promote adoptee rights and adoption awareness. Only eight states, within the U.S., give adoptees rights to original birth certificates. When DMC was 35 years old, he found out that he was adopted. Trying to come to terms with his beginnings, he filmed a documentary called “DMC: My Adoption Journey” which won a news and documentary Emmy for Outstanding Arts and Cultural Programming. In addition, he wrote his song “Just Like Me” about adoption. Zara is an author, singer and songwriter from the UK. She wrote a book “Mother Me” written about her view of motherhood from an adoptee’s point of view. In this book, she explores relationships between adoptees and birthmothers. She is quoted “It seems that birthing my children was also a birth for my whole self”. She is also just finished directing and producing an adoption documentary that discusses the lifelong impact of adoption, “ROOTS: UNKNOWN”. This is currently being screened in both the US and England. How wonderful it is that adoption can be main stream and discussed so openly. With the joy that adoption brings, there is also pain. I give both of these artists a lot of credit for sharing their personal stories. I will leave you with one of the questions that Zara hopes that her documentary will try to answer, “What does someone touched by adoption need in order to feel emotionally whole?” I think that both DMC and Zara are showing us the way they are doing this. What do you think this might mean to you and your family? 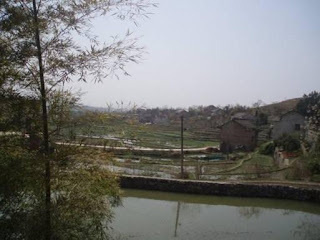 I want you to imagine an Easter Sunday morning in a rural part of China. Two wonderful volunteers for LWB had been invited to share a meal that day at a local family’s home with the orphanage director. They sat on assorted stools placed on the cement floor and looked out at the countryside and rice paddies through wide open doors. There was no other furniture in the room, except a shrine to honor ancestors. One hen nested in a cardboard box behind the door while others pecked at the crumbs that had fallen from the table. The volunteers soon learned that while they ate…...a tiny baby slept in the furthest back room. He had been abandoned with an abdominal surgical scar and a misshaped head. The volunteers were told he was four months old, but they immediately could see that he was the size of a newborn. Wondering what his fate would be in the rural countryside if he wasn’t seen by a doctor, the volunteers asked if he could be sent to the hospital for a full evaluation. Thanks to some wonderful supporters, he was able to be moved right away. That tiny little boy spent a month in the hospital receiving needed medical care, and then was moved to an LWB foster care program to live with one of our very best mommas. He was loved completely in that home for the next 2 years. 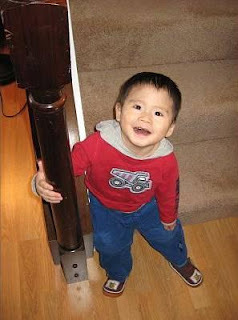 This past December, he was adopted to the United States, and his mom just wrote to us asking if we had any information on her son. There is always so much joy when we learn that a child we have helped has been united with a loving family. This child, however, brought both joy to our hearts but also a realization that the smallest of moments can change the course of one’s life forever. 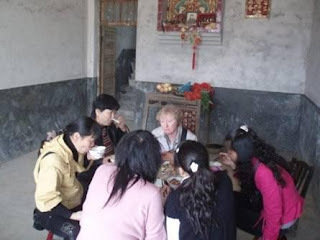 What if the invitation to eat in the rural home had not been extended to our volunteers? They would never have seen the tiny baby in the back room. What if they had chosen to not speak up and say “we think he needs care”? Or what if the funding had not been available at that moment to move him to the hospital for a month long stay? But the beautiful thing in this story is that the volunteers did share that humble Sunday meal, and they were taken to the back bedroom to meet a little baby. Everything came together in the perfect way for one more child to be given a second chance at a healthy life. And when that happens……I can only close my eyes and give the sincerest thanks for everyone who takes the time to care about the children around the world who are orphaned. To everyone who volunteers, who lifts prayers, who gives of their hearts and their funds to those in need……THANK YOU. You may never even know how your gifts have changed the course of someone’s life, but I hope this story shows that when we step out in love, beautiful things can happen. I think life is filled with these moments that we might think are insignificant at the time, but which allow tiny miracles of hope to shine through. And how wonderful is that? There are just 5 days left in the Chase Giving Challenge. We have heard from many people who didn’t realize they needed to vote AGAIN in Round Two, as it is a brand new contest. 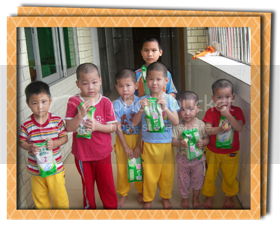 Please take the time to visit http://apps.facebook.com/chasecommunitygiving/charities/263934 and cast your vote to help orphaned children in China. It will only take a moment, but the results could last a lifetime for all the children who still wait. 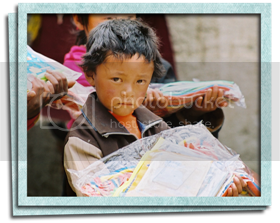 Everyone with LWB is so grateful for your help! Have you cast your vote for LWB yet in the Chase Community Giving Contest? I want to introduce you to Livia so you can see how taking the time to do so can allow even more vulnerable children a chance at life. Livia came into LWB’s hands from a rural orphanage when she was four months old, weighing just 5 pounds. She was malnourished, weak, and truly fragile. 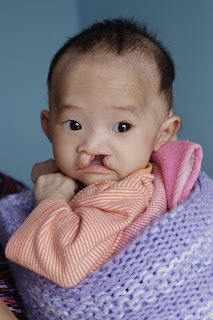 If she had not been moved to our cleft home, she would definitely have passed away. Our trained caregivers got right to work and Livia began receiving her feedings with specialized cleft bottles and high calorie formula. Over the next few weeks, she began gaining weight, began smiling, and most importantly began realizing what it means to be loved. Just four months after arriving in such a weak condition, Livia was ready for her life-changing surgery! She recovered beautifully and began hitting all of her development milestones. In fact, she recently celebrated her first birthday and is now beginning to walk. 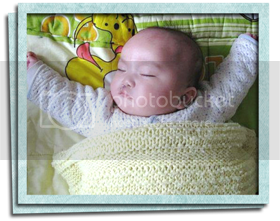 She is now in LWB foster care, ready for adoption and an unlimited future. What joy she brings to the world! What a tragedy it would have been if this beautiful little girl had not been given a second chance. 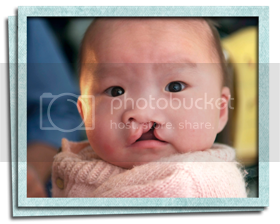 Her whole life is in frontof her now, thanks to our cleft healing homes. And by voting today for LWB, you can help us open even more specialized homes to save the lives of babies just like Livia. Please take the time to cast your vote today, because every baby’s life is important. 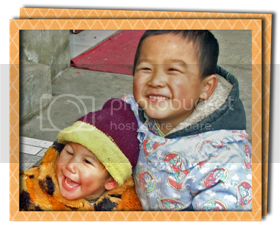 Our photo of the week comes from our Zhang Village Foster Care. This is baby Landri, and I think you can tell just how much she loves being with her foster momma. Obviously the feeling is mutual! 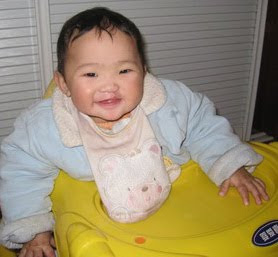 Landri's life was saved through our Cleft Healing Homes program, as she arrived from a rural orphanage extremely sick and weak. 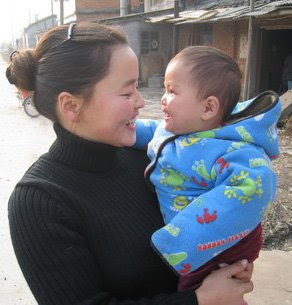 Our dream is to have a healing home in every province in China, so that babies like Landri can have a second chance. You can help LWB reach that goal by voting for us in the Chase Community Giving contest. Cast your vote from January 15-22 to save even more lives and to make even more moments like the one above possible!